Also adding several new features! We have a BACK IN STOCK NOTIFICATION where a customer can input their email in an out of stock product listing and be notified when an item is back in stock. Now you too can be the first to buy those popular in demand PTS items. We've also implemented a RESOURCES GALLERY that includes Manuals for our airsoft guns, Current and Past Catalogs, Brand Books, Exploded Diagrams to help you identify components, and YouTube videos showcasing Tutorials and Reviews. Are you a consumer and want to find a US Dealer? We've got you covered with our AUTHORIZED DEALER List! 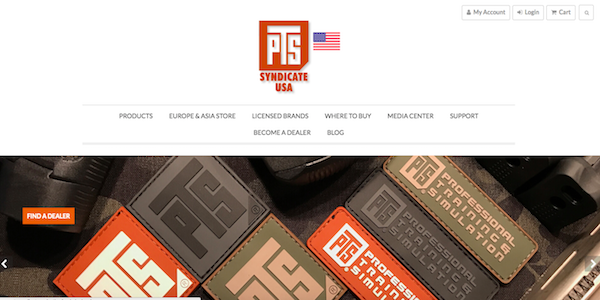 Are you interested in becoming an Authorized PTS USA Dealer? Start the process to BECOME AN AUTHORIZED DEALER today!